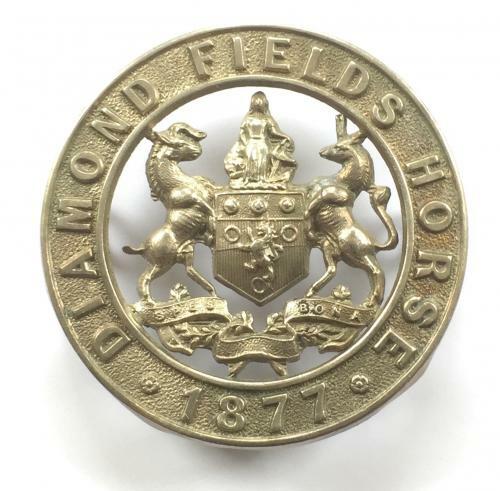 Diamond Fields Horse cap badge c 1902-06. Raised as the Dutoitspan Hussars in June 1876 ; became Diamond Fields Horse in November 1877 under Major Maxwell and served with distinction in numerous campaigns. Cecil Rhodes held an honorary commission in the regiment.